At 5 Star Billing Services, we have years of knowledge and experience that have uniquely prepared us to handle the complexities of workers’ comp billing. Our goal is to help you increase the profitability of your practice, medical center, or hospital and eliminate the stress of billing in-house from your team. Why Use 5 Star Billing for Workers’ Compensation Billing Services? Our complete range of billing and collection services gives you peace of mind and comfort. Put your workers’ compensation billing needs in our professional hands and your business will see improved cash flow and lower expenses. We also offer complete account receivables and revenue management to further streamline your businesses processes and achieve your long-term business goals. We deliver tangible results for our clients that enable them to focus on the core aspects of their business. Our expertise and experience ensure that you get paid faster and easier. 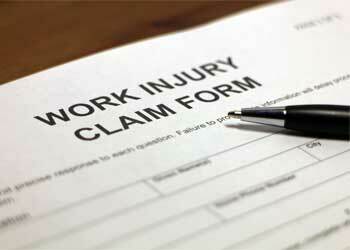 Workers’ compensation can be complicated. At 5 Star Billing, we take the hassle of billing away and make it easy to increase your revenue. We have helped thousands of clients significantly reduce their expenses by using our software and services. Included in our standard service model, our management software is an effective business tool with no hidden costs or additional charges. Additionally, there are no expensive software updates or support charges. Our workers compensation billing software is web-based and can easily connect to your organization’s data, or we can work with your current management software. Our billing specialists are familiar with all major billing systems.